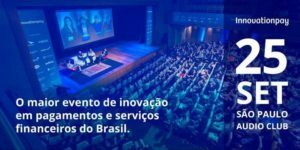 A major player in the global innovation ecosystem, Valid is participating in Innovation Pay, the largest innovation event in Brazil focused on payments and services, being held today, September 25, with Valid Wear’n pay – a wristband that can work on multiple applications, such as payments through major credit card companies, payments and access control for closed events, integration with transportation systems, and more. Attendees at Innovation Pay will have the opportunity to try out the solution at a lounge hosted by CSU, a high-tech services company and sponsor of the event, where consumption will be paid for using wristbands distributed by Valid. According to Adriano Franki, Valid’s Vice-President of Payment Methods and Telecom, Valid Wear’n pay provides consumers with a fun and innovative way to make payments. “In addition, the solution offers greater freedom for day-to-day activities through a practical and lightweight device,” he explains.